Parker Conrad resigned last week as CEO of Zenefits, a high-flying technology startup grounded by a regulatory scandal. It's a common complaint among healthcare providers: Even though the digital health sector is finally coming of age, many of its young, technology-focused entrepreneurs don't really understand the unique needs of the healthcare industry. That's why one venture fund is hoping to harness the new energy that's coming into healthcare and channel it into solving actual business problems of some of the country's largest healthcare companies. Jumpstart Foundry—located in Nashville, the heart of the country's healthcare belt—has launched a new healthcare innovation fund that plans to make as many as 20 investments this year. But instead of getting pitched by entrepreneurs to fund the projects they want to work on, Jumpstart is taking pitches from would-be clients including HCA, Walgreens and Blues plans, and then matching them with developers that can turn their ideas into reality. The fund already has more than 75 qualified ideas from its healthcare industry partners. For a system like Vanderbilt Health, there may be interest around telemedicine; for another company, it might be preventing fraud and abuse in pain management, Gatto said. As part of the move, Jumpstart will stop operating as an accelerator to focus on the venture fund. It plans to invest $150,000 in seed capital, and take a 7.5% equity stake in the startups. It also will help with recruitment, as well as sales and marketing, in each venture's initial stages. Its healthcare industry partners are actively involved as pilot customers but won't invest their own funds, Gatto said. Most of the ideas from the healthcare industry fall into three key areas, Gatto noted: data analytics and interoperability; finding ways to help patients take greater ownership of their own care; and using technology to increase hospital efficiency. Other healthcare venture funds have also tried to make it easier for technology entrepreneurs to navigate the complex healthcare system. That was the mission of New York-based StartUp Health when it launched five years ago. The next wave of digital-health entrepreneurs may be more willing to learn how to navigate the healthcare industry's long-entrenched boundaries as they work to disrupt them. The firm now claims to have the largest portfolio of digital-health companies in the country, with 122 startups, one-third of which are in Silicon Valley, said Unity Stoakes, StartUp Health's president and co-founder. Many tech developers talk about “Uber-izing” healthcare—taking initiative in the same way that Uber ushered in a new transportation model that completely circumvented the taxi industry. Even companies that are Silicon Valley darlings can run into roadblocks when they hit regulatory snags. 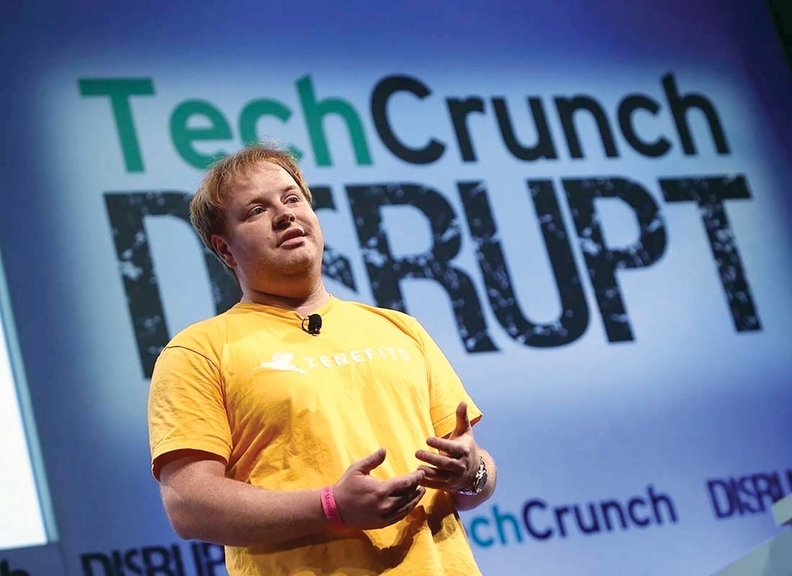 Last year, San Francisco-based Zenefits was one of the fastest-growing tech startups. It offered free cloud-based services for human resources, including acting as a broker for health insurance purchases. But a November BuzzFeed News investigation revealed that many of its salespeople had not obtained the necessary state licenses to sell insurance, prompting its CEO and co-founder, Parker Conrad, to resign this week. In addition, those with the greatest healthcare needs—the elderly and the poor—don't exactly overlap with the Uber and Airbnb crowd.